His biographer speaks of the unimaginable cultural consequences of living continually under the gun. Although this comment was made about Tamil communities living in Sri Lanka more widely, it provides the basis for understanding Dharmaretnam Sivaram’s core beliefs about the role of intellectuals, or those with knowledge (and privilege) in public life. It is these beliefs that the writer pays homage to in the weeks after his 12th death anniversary, and at a time when more than ever before; speaking the truth, and speaking it to power, is a revolutionary act. Sivaram came early to the conclusion that life is inherently political. Even a cursory look at his explains why. Sivaram lived through the most part of the open armed struggle of Tamils against the Sri Lankan state. He witnessed Black July. He lost friends and family in the conflict. Long before picking up a gun, Sivaram spent time in the custody of security forces where he was regularly beaten – his crime it appeared was being a young Tamil man in the early 1980s. By his own confession, he discovered nationalism through his love for Tamil language and history, and his desire to see it protected, not destroyed by the state. In short, the cruelty of war and the politics of divisiveness were a large part of his lived experience. If life is inherently political, for Sivaram then, any analysis or theory of society, as well as any actions taken and words spoken, must also be so. And with this closely held belief he joined a league of thinkers (in which for example Edward Said is found) who are acutely aware that in information and the understanding of it are the keys to social change – hence the desire of any power-seeking group to control and manipulate information. By extension, for Sivaram, the selection, interpretation and presentation of information becomes a political act, and if and when the stakes are high, a deeply political act. In holding steadfastly to this view, Sivaram could not take seriously those in the knowledge and information trade, of any type, and at any level, who are unable to see clearly their role as transmitters, shapers, and perpetuators of social discourse, and more importantly, of injustice. For him, this inability or unwillingness made them invaluable to, and ultimately actively nurtured by, the status quo. Sivaram commented also on those who seek ideological neutrality by staying above the realms of information that they seek to know, create and manipulate as those who are captured by their own escape. Why? Because as Howard Zinn, put it, you can’t be neutral on a moving train. It was in contempt of such individuals and the system of oppression that they propped up, but more importantly his need to take action to counter them, that Sivaram took on the project of creating a body of knowledge and understanding that made oppression, in this instance the oppression of Tamils, untenable. He did this through the medium of journalism i.e. his work with TamilNet and his other writing, and this broke the monopoly that the Sri Lankan state and Western media had on information and analysis on the Tamils, Tamil issues, and the warfare waged against them. 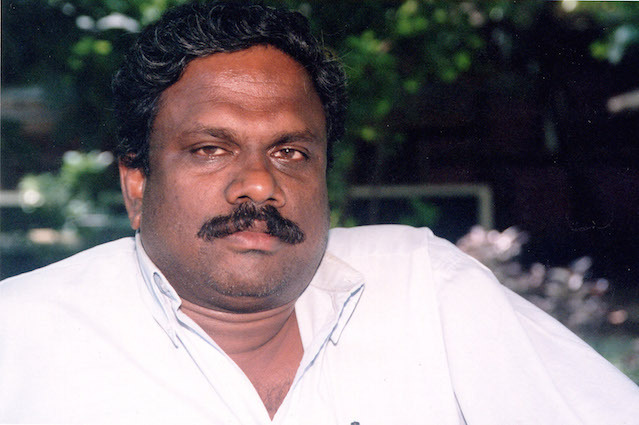 In accomplishing his goal, Sivaram earned accolades (for his thorough, rigorous professionalism and for his exceptional ability to place the Tamil struggle in the wider context of world history and politics), but also exclusion, often from the very people with whom he shared ultimate goals and who he had tried to unite. In the end, it earned him death; something it seems he knew was coming but that in the spirit of a true paticca aal, he couldn’t, and wouldn’t, back down from. So it seems appropriate to not let this death anniversary pass without pausing on the thought that Sivaram’s life spoke bravely and fundamentally to a pressing, perennial question. That question is this: if we have the privilege of not living in war, of not living in injustice, of not living in crippling poverty, what are we doing to make sure that others enjoy the same freedoms, as they are basic and necessary? In other words, what are we doing with all this time? For time is short. Sivaram’s precious, instructive life proves this with painful clarity, and the great tradition of resistance that he furthered in looking for his successors. It is sad that many Journalists both Tamils and Sinhalese paid ultimate price for their stand on democracy, human rights, honesty, equality and fundamental rights and Late Mr. Sivaram is one of them. It is terrible and inhuman that many Western nations, its leaders and International community while boasting democratic values, allow a state to commit crimes including abduction, torture,, murder and oppress minorities, human rights defenders, Journalists and dissidents. It looks that only God can help these innocent people from greedy politicians!